Transfer pricing rules were introduced in Ecuador in 2005 through amendments to the Organic Law of the Internal Taxation Regime (LORTI) and its rules for application (RALORTI). The OECD's guidelines are legally defined as a 'technical reference'2 regarding anything that does not oppose local standards; however, the Internal Revenue Service (SRI) has issued specific and rigorous standards on the presentation, analysis and establishment of results. owing to the application of different tax rates in local transactions. The general transfer pricing regime applies to taxable benefits that were not obtained through the application of special conditions with related parties, through the analysis of income and expenses or through assets and liabilities transactions conducted during the fiscal year. Equity transactions, such as dividend distribution, capital contribution, compensations or reclassifications that do not affect the results are not taken into consideration. The adjustments made by the taxpayer or tax authority have no accounting, corporate or other effects. These are exclusive of tax conciliation of income tax, although sometimes the SRI has established that this affects workers' profit sharing. Income tax forms require an itemised report of the transactions and balances of the operations conducted with related parties during the fiscal period.5 In the specific case of corporations, the form has fill-in fields in which the filer must specify if the transactions are local (in some cases), with related parties abroad or with related parties domiciled in preferential tax regimes. has shareholders domiciled in fiscal havens. When the total transactions reported is greater than US$3 million,7 two months after the filing of income tax returns, a new Annex of Transactions with Related Parties must be presented. This consists of a computerised report listing general information (domicile, address, tax ID, relationship) of related parties, the type, amount and number of transactions made, the methods and margins applied and, if pertinent, the amount of transfer pricing adjustments. The Comprehensive Report on Transfer Pricing must be submitted to the tax administration when the total amount of declared transactions is greater than US$15 million.8 The aforementioned report must be prepared based on a technical sheet for standardisation. Said sheet consists of a strict content guide, a description of the selection process of databases and comparable data, priority and selection methods, implementation of adjustments and measures to prevent abuse of transfer pricing. Although the report is submitted two months after the filing, its results must appear in the tax determination. Additionally, the corporations required to file financial statements with the opinion of independent external auditors must include a paragraph on their compliance with the transfer pricing regime and describe all their transactions with related parties in the Tax Compliance Report (ICT). The aforementioned reports must be filed annually, and even if a taxpayer is not required to file reports before the tax authority, he or she must keep the documents that support their transfer pricing position. Currently, the price analysis must be conducted from the perspective of the Ecuadorian taxpayer; the application of the country-by-country report is not planned. Transactions with a broker: when the transactions analysed are conducted with a broker domiciled in a fiscal haven or who is not domiciled in the final destination country of the goods, the transfer pricing methodology will apply without assigning a margin and without considering the price registered by the broker. The international broker margin may be considered only if it is not a related party and meets a series of requirements. Oil export: the comparable uncontrolled price is defined as the weighted average of oil exports made by the state in the shipping month. Metallic mineral export: the comparable uncontrolled price is defined as the international price and adjustments under the law for the calculation of royalties. Banana export: the comparable uncontrolled price is defined as an indexed limit set annually by the tax authority. the realisation of comparability adjustments should be justified qualitatively and quantitatively; the adjustments should consider restrictions for the justification based on the cash cycle, the economic reality to be adjusted, the interest rates to be used and the specific formulas to be used. If the taxpayer submits financial statements under the IFRS, it is not deemed necessary to make capital adjustments. In general, the regulation provides that establishing the methodology must always start with the assessment of the uncontrolled comparable price (particularly in goods imports or exports); if it is not possible to apply this method, the resale price or added cost will be used, as pertinent. The application of profit distribution and the transactional margin of the transactional profit is considered to be extraordinary and those are the methodologies most observed by the taxation authority. The Ecuadorian regulation has anticipated that the reports on transfer pricing, which are to be filed before the tax authority, must enclose all the information that supports the conclusions of the analysis, such as contracts, reports or any other document relating to the transaction. 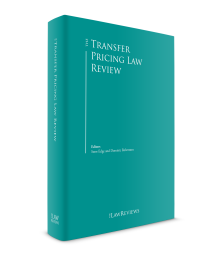 Generally, the SRI uses a local approach to the analysis of transfer pricing without considering the global taxation position. When transactions are conducted with local related parties, the authority may require any information, almost without limitation. In transactions with related parties from abroad, it may exclusively request information about the local taxpayer. In order to obtain information about related parties from abroad, generally the SRI uses public or private databases, public information from stock exchanges, or directly requires tax administrations with which information exchange and international cooperation agreements are in force. Ecuadorian law has not provided for a specific treatment or methodology to analyse intangibles. The current provisions focus on providing detailed information of the features of the transactions, such the form (concession or sale), type of intangible assets (patent, trademark, know-how), the duration and degree of protection, the anticipated benefits and contractual terms (exclusive rights or sublicensing). However, the transfer pricing method applied must consider a limit of 20 per cent of the tax base for income tax for royalties plus other services paid to related parties. According to the law, OECD guidelines are considered as a technical reference. Consequently, it may be expected that the DEMPE principles be accepted by tax authorities in practice. As of 2015, taxpayers may make a consultation about the prior valuation of transfer prices19 to the highest authority of tax administration; this consultation is in nature an advance pricing agreement (APA) and has an effective time of up to five taxation periods. The process is divided into two stages. The first stage is to carry out a prior action, which basically consists of identifying the related parties, describing the transactions and basic elements of the assessment proposal. The purpose of this preliminary procedure is to assess the consultation's feasibility. critical assumptions: identifying the circumstances that may affect the assessment. The absolution consists of the approval of the proposed methodology or establishment of a binding alternative methodology. The taxpayer will be exempt from submitting the Annex of Transactions with Related Parties and the Transfer Pricing Report of the transactions contemplated. However, the taxpayer shall submit an annual results report and application of the APA. The consultation would be less effective if there are variations in the critical assumptions or conditions established in the agreement or when the annual application report is not submitted. Considering the tax authority has a term of two years to answer an assessment consultation, and that once approved, the results of the application must be reported annually, it is not practical to apply this procedure except as a mechanism to increase the limit of 20 per cent on the tax base of accumulated royalties payment, technical, administrative and consulting services to related parties.20 According to SRI's public information, by 2017, 62 consultations were submitted, of which 46 were admitted and 26 absolved. imports at prices greater than those in effect in international markets. A process of inspection normally begins with a request for information or previous inspections; if the administration considers that there are grounds to execute a tax audit – within the aforementioned term – a notice with an order of determination must be issued to formally start the audit process. The SRI has a one-year term to issue the determination record with the results of the audit. Prior to the issuance of the final result, the authority must serve a draft and grant a term of 20 days23 for the taxpayer to make remarks or submit additional documentation that dispels or justifies the economic liabilities. In practical terms, these remarks are not considered. The tax audit is considered to be a final act subject to a claim through the administrative track before a regional SRI director within a 20-day term or a judicial challenge before the Contentious Taxation District Court (TDCT) within a term of 60 days. The administrative claim may be considered an inefficient appeal alternative, considering that the tax administration in its resolutions tends to defend or reinforce the position of the audit department. This procedure has a maximum duration of 120 days. As mentioned in the previous section, the judicial challenge is the recommended alternative to appeal the results of a tax audit. As of 2016, the General Organic Code of Procedures (COGEP) radically amended the challenge procedure in Ecuador, establishing oral litigation as the base of the system. In the 60-day term that the taxpayer, affected through an act of determination, has to file the claim, he or she must gather or process all the documentary or expert evidence because it must be enclosed with the initial plea. Once filed, the TDCT has a five-day term to qualify the claim. For its part, the tax authority – upon being served with a notice of a claim – has a 30-day term to respond and submit its own documentary or expert evidence. Upon expiration of the deadline to answer the claim, within a period not exceeding twenty days, the TDCT will arrange for a preliminary hearing to be held in which the parties must present their claims and grounds and broadly announce the evidence that will be produced in the trial for the judges to accept or reject. Once this preliminary action has been completed, the TDCT will order that the trial hearing takes place within a term no greater than 30 days. A significant aspect that must be taken into consideration is the participation of expert witnesses at the trial hearing. These should be qualified as experts by the Judicial Council (CJ) and must defend the methodology, analysis and conclusions contained in their reports, as well as answering the questions asked during the hearing. Once the trial hearing is completed, the judges must issue their resolution through an oral statement that must be notified in writing afterwards and that is subject to appeal before the National Court of Justice (CNJ) through a cassation appeal, which must be filed no later than 10 days after. Article 90 of the rules of application of LORTI establishes the power of the tax administration to use information on secret comparables for the application of the arm's-length principle.
. . . the second interpretation of the provision contained in article 90 RALORTI is inapplicable. That is that the use of secret comparables of third parties or companies in determining a possible tax evasion of the taxpayer under scrutiny necessarily implies providing the information used by the tax authority, in order to carry out the defence deemed adequate. On the contrary, if the information used by the tax authority is reserved, and thus cannot be shared with the taxpayer under investigation, it may not be used to establish tax evasion in a specific case. Consequently, the CC has resolved that the SRI may use secret comparables to establish strategies, assess risks, implement requirements and other activities for the selection of auditable cases. In the event adjustments are made to transfer prices through particular audits, secret comparables cannot be used because that would leave the taxpayer defenceless. Ecuadorian regulation has not provided for secondary adjustments to modify the taxpayer's financial position with regard to shareholders or its related parties. In other words, the adjustments or economic liabilities of transfer prices, established through a tax audit, are effective only in the tax conciliation of income tax. The Ecuadorian transfer pricing regime considers some penalties. Not filing a statement, annex or operations report with related parties, or filing one with errors is considered a regulatory failure punishable with a fine of up to US$15,00024 to be imposed through a resolution that may be challenged through the administrative or judicial track. On the other hand, when the tax administration has ascertained that the arm's-length principle was not met and carries out an audit, the transfer price adjustment is made by applying the median of the range of full competence. Additionally, a 20 per cent surcharge must be added to the total amount of the adjustment25 and interest equivalent to 1.5 times the referential active rate.26 These penalties must be established in the determination record of the income tax and are challenged along with the main obligation. If it was established that the transactions between related parties have been simulated or lack economic grounds, criminal liability might arise. There is no provision for tax on deviated profits or any other similar tax that complements or interacts with the transfer pricing regime. Ecuador has in place Agreements to Avoid Double Taxation (CDT) with 21 countries. However, maximum amounts and requirements were established as of May 2016 for the automatic application of benefits under the CDT. To make a payment abroad without source withholding or with a withholding at a preferential rate under a CDT, a cumulative annual payment amount per supplier must be taken into consideration; it should not exceed 20 basic fractions of income tax for natural persons (for 2018: US$225,400).27 Above this amount, taxpayers must implement the withholding at the source of income tax for payments abroad (25 per cent) without consideration of benefits under the CDT. Additionally, a certificate of tax residence issued by the competent authority of the country of domicile of the foreign supplier is a requirement to automatically apply the benefits of a CDT. If the withholding at the source is not made after exceeding the amount to apply the CDT, the local taxpayer must undertake the withholding at the source plus a 100 per cent surcharge and interest for tax arrears. To avoid infringement of CDT provisions, the tax administration has established a procedure to refund the amounts corresponding to income tax withholding implemented with regard to non-residents in application of the CDT.28 The non-resident subject may file for monthly reimbursement by enclosing the withholding slips, the settlement of the purchase of goods and provision of services issued in Ecuador, the agreements and invoices that support the transaction, the SWIFT voucher for bank transfers, the legal representative's identification and enabling documentation, the certificate of tax domicile, and the password for SRI online services. The procedure must be accepted and an electronic notice must be issued within a 60-day term. For this restriction the SRI does not foresee going to a mutual agreement procedure (MAP) or arbitration because it considers that the benefits under the CDT are not eliminated, rather only their automatic application is limited. In Ecuador, a unilateral measure has been planned to avoid double taxation.29 It consists of treating the income earned abroad that was subject to taxation in another state as tax-exempt income. If the income comes from jurisdictions with lower taxes, the tax paid will be used as tax credit. The transfer pricing regime applies exclusively in the settlement of income tax; it does not affect the value added tax or customs taxes. In Ecuador, the transfer pricing regime is applied whenever the income tax is lower than 3 per cent of income or transactions are conducted with parties domiciled in fiscal havens. Although the system is based on OECD guidelines, the extensive and rigorous legal, regulatory and administrative system focuses on establishing limits for the application of the arm's-length principle and, above all, on standardising the methodology that taxpayers must use to establish the taxation position of their transactions with related parties. The strict analysis and reporting parameters are considered by the authority as technical measures to avoid abuse in the use of subjective elements in comparability analysis in which quantitative factors must prevail over qualitative ones. The tax administration's priority is previous control, applied by the taxpayer and validated by independent external auditors. Thus, there are not that many cases of transfer pricing audits. However, when conducted, the administrative challenge is a scenario with a low probability of success. A similar expectation may apply to the APA consultation or any other process before the tax authority. Although judicial challenges were not effective refutation mechanisms, with the enactment of COGEP, the expectation is that the procedures against the results of tax audits will be more efficient and transparent than they were under the previous system. With regard to the standard that restricts the automatic application of CDT benefits, the filing of a constitutional action to guarantee taxpayers' rights is necessary. 1 José Augusto Crespo is the managing partner at Andestrat Consulting. 3 Unnumbered article fifth subsequent to 15 LORTI. 4 Unnumbered article subsequent to 4 LORTI and Article 4 RALORTI. 5 Unnumbered article subsequent to 22 LORTI. 12 Numeral 16, Article 28 RALORTI. 13 Numeral 9, Article 13 LORTI. 16 Without numeral, Article 10 LORTI. 18 Numeral 2, Article 10 LORTI. 22 Article 94 of the Tax Code (TC). 23 In taxation matters the terms are always counted in business days. 24 Unnumbered article subsequent to 22 LORTI.